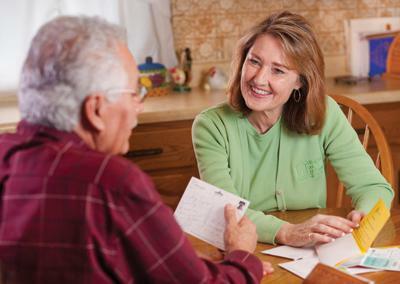 Does Live Well At Home By Eskaton, Inc offer the following services? Live Well at Home has been fabulous! Beginning with Kim who answered the phone when I called, to Kristin who came out and informed us of the services, to Katrina who just happens to be the BEST care giver ever! I can not say enough good about them. My 94 year young dad is now spoiled by Katrina, and loves every minute of it. Thank you. Rue from Live Well at home is an exceptional caregiver and treats my aunt with dignity, respect and provides just enough assistance while promoting, encouraging self reliance to be independent lady of grace as she ages. 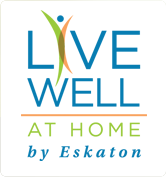 Live Well at Home by Eskaton provides a Caregiver for my wife who has Alzheimer's Disease. "V" comes in two afternoons each week, which is all the care we need now but I can expand that if and when necessary. V. and my wife walk our dog in the afternoon and V is there while my wife naps in case she needs anything. She also helps with minor household chores when I ask her. This allows me to get out of the house whiteout worrying about my wife knowing that V is there to take care of things. V is cheerful and very accommodating to our needs. I cannot say enough good things about Live Well at Home. We had 24/7 care for my father the last 7 months of his life. Our caregivers were fantastic! They became part of the family and took excellent care of my dad. We would not have been able to keep him home until the end if it had not been for Live Well. Thank you! This business/staff have made transition to needing a care service very easy. I'm new to this service and their guidance, patience and professionalism with my figuring out my needs, scheduling, etc. has been awesome! They truly "CARE" about their customers and have periodic visits with customers to check in with clients to verify it's all going well. If they get a sense that something's changed - they are scheduling a visit to see if they can help in any way. I would highly recommend this service to any person that needs support or help around the home, traveling to appointments, running errands or daily living care needs. They make sure their caregivers are the best possible match for you and trained to be able to give you the best care possible! If I could give them 6 Stars- I would.